The National Disability Insurance Scheme (NDIS) is Australia’s first national Scheme for people under 65 with disability. It provides funding and information/connections to help people obtain care and supports they need to live and enjoy their lives. 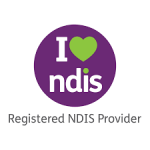 NDIS participants are able to choose their service providers, including an Occupational Therapist. Click here for further information. How can Home and Beyond Occupational Therapy assist you? 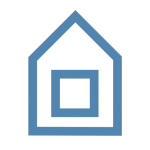 Home and Beyond Occupational Therapy is a registered provider of Therapeutic Supports and Complex Home Modifications for the NDIS. Eliza has been providing supports to many participants since 2016, and has gained invaluable knowledge and experience to help participants navigate NDIS processes. Eliza provides high quality, person-centred supports to help participants reach their goals, and maximise their safety and independence. These supports are funded under “Improved Daily Living” in a participant’s plan. Need help gaining access to the NDIS? Home and Beyond Occupational Therapy can also provide assessments and reports to help individuals in their initial application to NDIS.